I first met the owner of Le Cochonnet, Peter, whilst tasting some delicious wines from Pikes at the London Wine Fair. 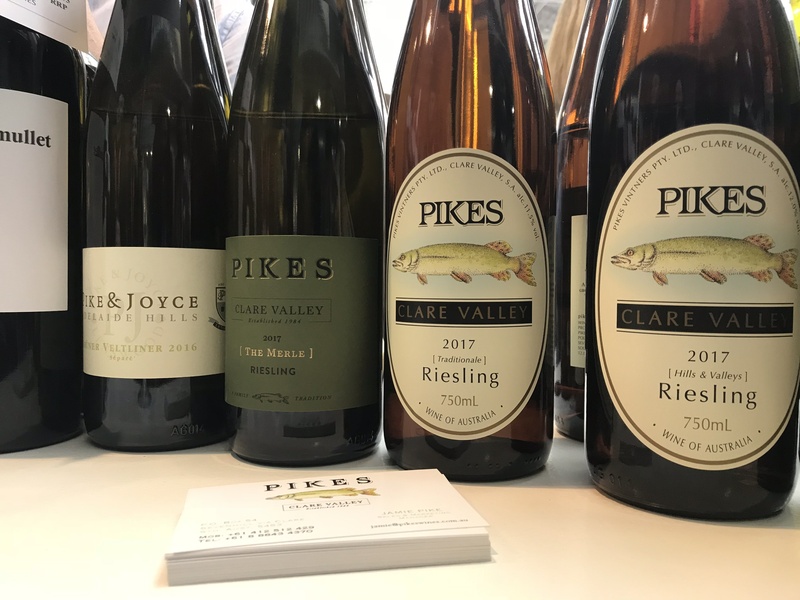 I had tried the Riesling and had learned all about it from Jamie at Pikes, but I was happy to try it again as it was pretty darn tasty. An enthusiasm for good wine was something we shared heartily and, after a couple of meetings, we decided that we should put on a wine tasting at his restaurant, Le Cochonnet. Peter opened Le Cochonnet in Maida Vale in 1985 (the year I was born – what a great year that was!) and it has been a beloved part of the neighbourhood ever since. Despite starting off as a French bistro, the menu migrated further towards the Mediterranean and it is now actually famous for its pizzas! But over the thirty-odd years, one thing at Le Cochonnet has remained consistent – and that is an excellent wine list. I sometimes think that Peter opened a restaurant just as a legitimate excuse to collect wine. The huge wine list is really something to boast about, especially as there are some real corkers on there that professional wine connoisseurs would lose their sh*t over. I think you would call them ‘gems’. There are expensive fine wines, but the list is mainly home to lots of excellent-value wines that guests can enjoy any day of the week – in fact, guests could even have a different one every day of the week, if they so chose. But, of course, people are creatures of habit and like what they like – which is a shame as there are so many great wines to try there. So, the aim of the wine tasting on 7th February is to show Peter’s locals some of his favourite wines that he thinks they will enjoy and perhaps introduce them to something new. We’ll be showing two whites, a rosé and three reds – all painstakingly chosen by Peter, the manager Jayne and myself (we may have had to sample a few to whittle down our list…). There will also be complimentary nibbles from the new chef, Daniele – and I KNOW he makes a mean tapenade. If you want to come – let me know! Tickets are £20 and you can buy them here or just email me and I’ll sort it out for you. I can’t wait to show everyone these great wines and provide a bit of backstory and tasting notes to boot. Very exciting! !